We are one of leading manufacturers, suppliers and exporters of Screw Caps in market, fulfilling varied requirements of our customers. Our comprehensive quality check methods ensures us to provide best quality caps to our clients. We offer these caps in multiple sizes and colors in accordance with needs of customers. Our caps are highly demanded in the market for their accurate dimensions and durability. 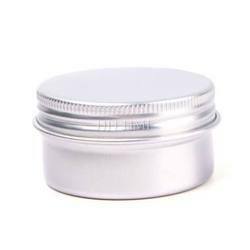 Expertized in manufacturing, supplying and exportingaLUMNIUM COSMETIC CAPS,we offer wide range of caps in multiple sizes and colors. We are sourced with impeccable quality of raw material from reliable vendors of the market. These closures are supervised at every stage of manufacturing, with an aim to maintain higher quality standards and eliminate flaws. Abiding by the ethical norms of the industry,. We are engaged in manufacturing, supplying and exporting Screw Caps. 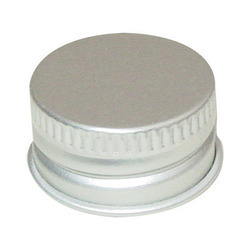 These screw caps are manufactured by employing latest machines and using quality-approved material sourced from the trusted vendors of the market. At the manufacturing stages, these caps are strictly monitored by experts, so as to develop qualitative product range. Patrons can also avail these in custom-built range, as per their requirements. Expertized in manufacturing, supplying and exporting Alumnium screw caps,we offer wide range of caps in multiple sizes and colors. We are sourced with impeccable quality of raw material from reliable vendors of the market. These closures are supervised at every stage of manufacturing, with an aim to maintain higher quality standards and eliminate flaws.